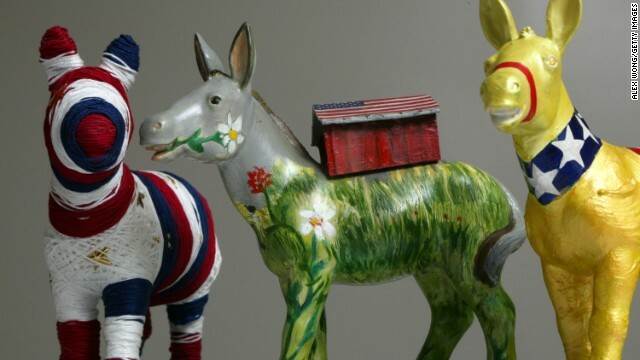 (CNN) - Meet the super six vying for the 2016 Democratic National Convention. The Democratic National Committee on Saturday revealed the six cities - Birmingham, Alabama; Cleveland, Columbus, Ohio; New York, Philadelphia and Phoenix - who submitted bids to host the marquee campaign season event. "We're thrilled with all the fantastic options that we have going into the next cycle," DNC chair Debbie Wasserman Schultz said in a press release. "We look forward to evaluating these bids and selecting a city to host this special gathering of Democrats." The press release said a technical advisory committee will evaluate the cities over the coming months, including site visits and "other inquiries." The DNC said it will announce its decision later this year or in early 2015. The Republican National Committee is farther along in its winnowing process. Denver, Dallas, Cleveland and Kansas City are the final cities bidding to hold the 2016 GOP convention. The RNC expects to announce its final decision in the fall. In a letter to the DNC, New York City Mayor Bill de Blasio pitched Brooklyn as the focal point for the Big Apple's bid to host the 2016 party confab. The progressive mayor, elected just last November, intends to have the sprawling Barclays Center - home to the NBA's Brooklyn Nets - anchor the bid and serve as the principal venue site for the convention, with other events and accommodations spread across Brooklyn, Manhattan and New York's other boroughs. The last time New York City hosted a party's presidential nominating convention was the 2004 Republican National Convention. It last hosted a Democratic convention in 1992. Both of those conventions were held in Manhattan's Madison Square Garden. Among the other final five choices for the Democrat's, Philadelphia is the only one to previously host a major party convention. In 2000, Republicans officially nominated George W. Bush as the party's standard bearer at the then-named First Union Center. As first reported by CNN's Mark Preston in April, New York is one of 15 cities that were sent an official request for proposal by the DNC. Those cities were Atlanta, Chicago, Cleveland, Columbus (Ohio), Detroit, Indianapolis, Las Vegas, Miami, Nashville, New York, Orlando, Philadelphia, Phoenix, Pittsburgh and Salt Lake City. CNN Political Editor Paul Steinhauser and Jason Seher contributed to this report. It should be Phoenix. This symbolizes rising Democratic clout in the West. I believe Hillary can turn Arizona blue. Maybe they would like to hold it in Kabul. The recently released Taliban would love that. Detroit is the perfect backdrop for the DNC. – Highest food stamp participation in decades. – CBO reports that the minimum wage rate hike will cause the list of thousands of jobs, yet Dems push for it. Your gonna love it when they have to release the rest of them in a few months. Darn those pesky international laws. Especially since we have worked so hard to make them hate us with all their being. Thats a good way to jinx a good city for a many a moon . So go ahead and see . Good lucks ? @ rick, you are so funny. If Reagan was alive he might just take you up on it. Why not the Red Neck Rivera , Mobile Alabama ? No Rick, Kabul is reserved for GOP/Teaalibans already! They probably need the money, no? Gee, I wonder if those Cities still have Phone Booths? Even Superman is having a hard time finding places to change. and selecting a city to host this special gathering of Democrats." What city is the MOST GLTB friendly ??? What city has the MOST PUBLIC transportation ??? What city has the MOST GREEN regulations ??? What city has the MOST TAXES on property ??? What city has the MOST GUN restrictions ??? What city will make you FEEL the best ??? They should hold it in the heart of whack job leftist country, San Francisco. They owe it to Nancy Pelosi. Or maybe Obama's home town of Chicago. All those murders there shouldn't be a problem. Were you born in the south or are you one of "Fugitives" from the North East. Conservatives, in the South, Democrat or Republican hasn't changed much. And why, do I ask, are you starting your post with a "conservative rant", Shove it in their face. Most likely, that is what is going to be done to the Liberal's in 2016, as that is what they asked for.